As Louisiana’s largest air hub, Louis Armstrong New Orleans International Airport (MSY) serves the entire Gulf Coast region. Along with its high volume of air traffic comes a high incidence of drug busts. Law enforcement agencies view the airport as a critical border for intercepting drug smugglers. With the help of drug-sniffing dogs, body scanners and other security measures, the police routinely arrest air passengers for smuggling all types of illicit drugs. Those caught with drugs can face serious state or federal charges ranging from possession to trafficking, distribution or conspiracy. Arrested For Transporting Drugs? | Get An Experienced Defense Team On Your Side. 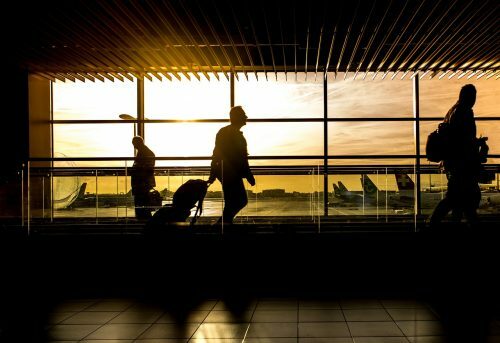 If you were arrested at a Louisiana airport for drug crimes or other types of criminal offenses, you need the experienced legal guidance of a seasoned defense attorney. At the Law Office of Robert S. Toale in New Orleans, we have proven experience handling serious drug cases. Our legal team handles NOLA airport charges for Louisiana residents as well as those coming from out of state or from beyond U.S. borders. With decades of legal experience, our lawyers have the legal skills, knowledge and on-the-ground insight that are essential for success. We have resolved hundreds of criminal cases through trial or aggressive plea negotiations. Our founder, Robert S. Toale, enjoys a strong reputation for his talent in the courtroom. He has been interviewed by national news media, and he has won victories in numerous high-stakes, high-profile cases. We have the time-tested experience you need to navigate serious drug charges. Don’t wait to get an experienced advocate on your side. We can answer your questions, guide you through your options and develop a solid game plan for handling your case. Contact our office to arrange a confidential consultation. Our telephones are answered 24/7. Based in Gretna, we represent those charged with crimes throughout Southern Louisiana.